FOLK IS IN THE AIR... Be sure to check out tiny mtns (previously known as Elijah Wyman), Mr. 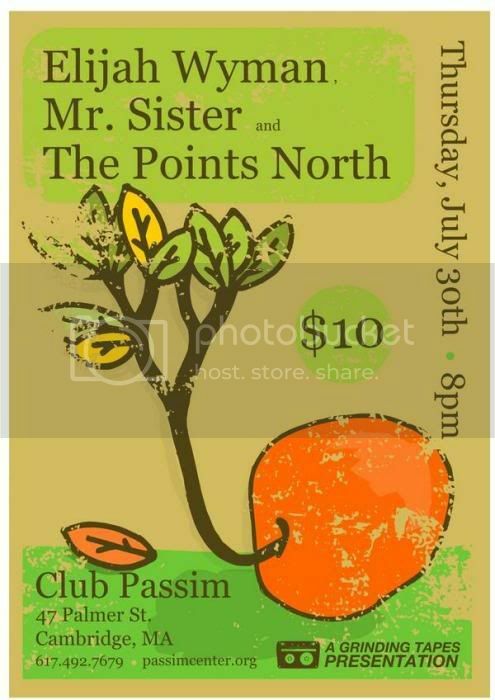 Sister, and The Points North at Club Passim tonight. When one of RSL’s favorite local labels, Grinding Tapes Records, hand picks three performers for a folk showcase at one of our favorite venues, you can bet it will be a show not to be missed. Get there at 8 P.M. to see this entire stirring and passionate triple bill! tiny mtns will be releasing their self-titled EP, at this gig. We expect this one to be full of the intimacy and quiet strength that Grinding Tapes promotes through their artists’ work. Ever-Transparent about their costs and generous with the proceeds they share with charities, Grinding Tapes exposes listeners to socially-relevant music that also has a brilliant artistic community behind it. Check out the collective chorus in the band’s “We Try Too Hard” and see for yourself! Much like the other four new songs on tiny mtns, “We Try Too Hard” surprises listeners when new voices join in, laugh, or add such a dynamic feel to the music that it seems as though the song is in the process of being born at that moment. Seeing Wyman perform at Club Passim will be a highlight of the summer! MR SISTER: The voice of Amelia Emmet is haunting and exhilarating all at once. 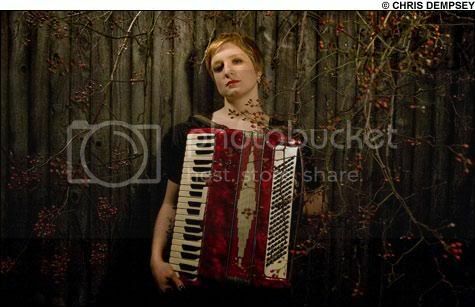 Whether singing acapella at the Whitehaus in JP or playing with a careful combination of guitar, banjo, accordion, and horns, Emmet pulls audiences into her heartbreaking melodies and makes them feel more than they thought was inside of them. THE POINTS NORTH: There's a bare beauty to the band's music. You can thank members Chris Alspach, Regina Peterson, and Dylan Clark for that. These songs provide the soundtrack for the long, cold winters we all experience here in New England... And much like looking at the trees during those barren months, stripped clean of their leaves, the songs from The Points North let us see that time honestly. The two-part harmonies combine Alspach and Peterson’s voices perfectly, illustrating the band's focus.